In recent tech news, Samsung has announced a voluntary recall of their Galaxy Note 7s after there were reports of at least 35 of the devices catching fire or even exploding while charging. Samsung has since released a statement saying that the problem is related to issues with the phones battery, and while they believe it only affects 0.1% of all Note 7s, they are recalling all of the devices currently in use. This recall, possibly the largest in smart phone history, consists of almost 2.5 million devices, spread across 10 countries. 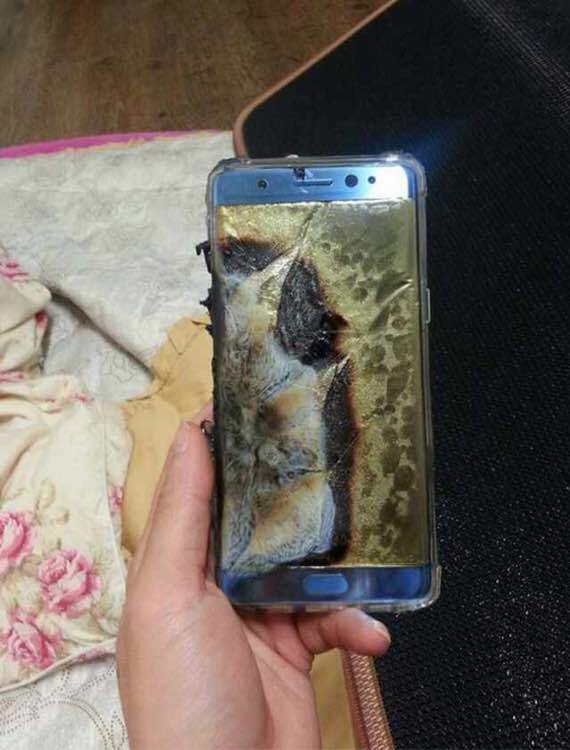 While this is a voluntary recall by Samsung, the U.S. Consumer Product Safety Commission (CPSC) issued the following statement “Lithium-ion batteries pack a lot of power into a small package… When these batteries overheat and burst, the results can be serious.” Additionally, the CPSC urged owners of the Note 7 to turn off their devices and stop using them. Furthermore, the CPSC has called for a government recall due to safety concerns with the device. If this type of recall goes into effect, it would make selling the device illegal, including new product runs of the Note 7, and could also open Samsung up to the possibility of a class action lawsuit. What does the recall mean for US consumers? With thousands of Galaxy Note 7s already sold in America to date, this could mean a lot of unhappy Samsung owners. Granted, a percentage of these sales have been refurbished models, which are not specifically part of the recall, it will still leave a lot of people empty handed. The good news is that this is a voluntary recall. Those in the U.S. that already have the faulty model will be able to return it to Samsung for a different phone. Currently you can get either a Galaxy S7, a Galaxy S7 Edge, or a new, non-defective Note 7 as well as the option to trade in their accessories for S7 equivalents. Additionally, Samsung is also offering a 25$ gift card or bill credit to those affected for the inconvenience. While this isn’t the first major recall of a smartphone, this is one of the largest in the technologies history, and could spell big changes in way people choose new devices. Large product recalls like this, have been known to caused major ripples in peoples purchasing habits for years to come. If you own a Galaxy Note 7 and are unsure if your device has been affected by the recall, you can check your IMEI number online, when Samsung releases the form. While not all Note 7s are covered by the recall, if you bought yours new before 9/6/2016, your device has more than likely been recalled. At this point, it’s best to use caution with your Galaxy 7 until additional details are sorted out. Stay up to date on this recall here. We will continue to update as more details develop. We encourage our readers to share any updates that they receive from the company as well. Shout Out! If you own a Galaxy Note 7, we’d also love to hear from you! What are your thoughts on the recall and what will be doing with your phone?